Hwange Colliery Company Limited staff would like to congratulate the Commercial Manager, Dr Beauty Mutombe for winning the ZIMBABWE’S TOP 20 WOMEN, MEN AND ORGANISATIONS BUSINES PERSONALITIES AWARD 2017. Dr Mutombe featured in the TOP TEN SPECIAL RECOGNITION IN PROFESSIONAL APPROACH TO BUSINESS – CATEGORY. 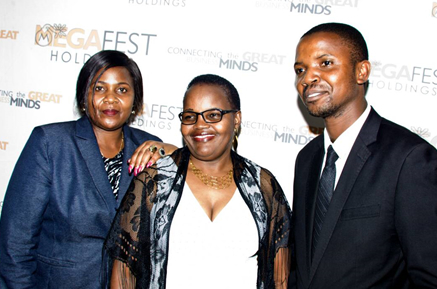 The Megafest National Business awards were held on the 13 December, 2017 at the Cresta Lodge, Harare. The nods are prestigious and are held annually as a way of recognizing, developing and promoting professional business acumen at all business levels. 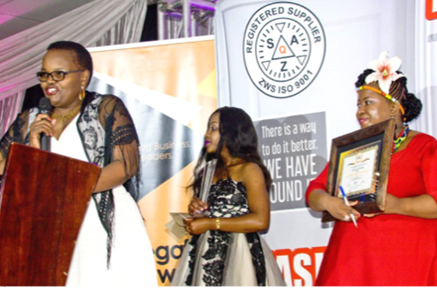 The awards seek to honour men, women and organisations who have made strides in projecting a positive picture as well as telling the true picture of the Zimbabwean industry through their work such as entrepreneurial skills, professionalism, leadership and competences. The company recognises and salutes outstanding professional business acumen. In her acceptance speech, Dr Mutombe attributed the award to teamwork and vowed to continue working hard for the development of the country and Hwange Colliery in particular. HCCL wins sustainable mining trophy at the Harare Agricultural Show! !